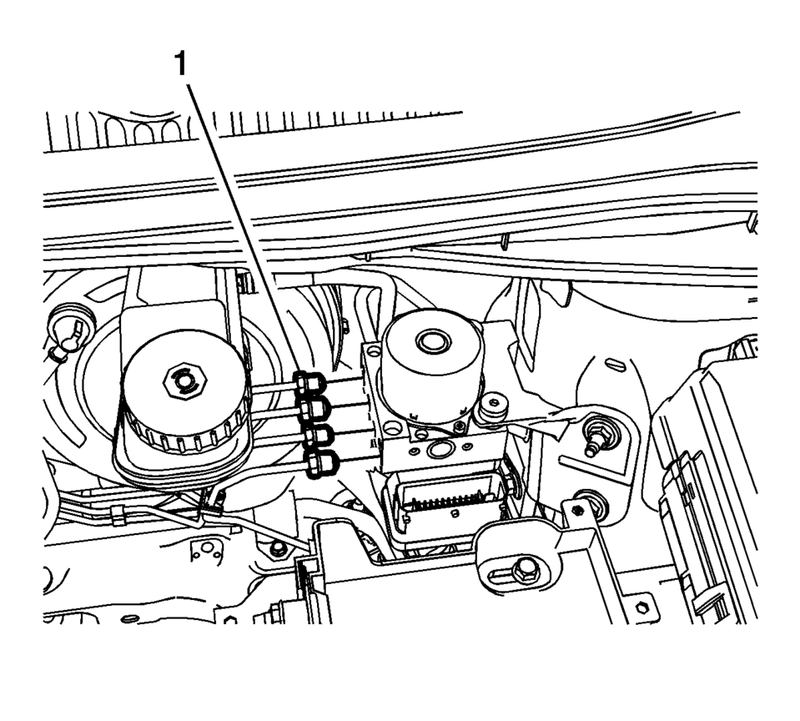 Always connect or disconnect the wiring harness connector from the EBCM/EBTCM with the ignition switch in the OFF position. Failure to observe this precaution could result in damage to the EBCM/EBTCM. 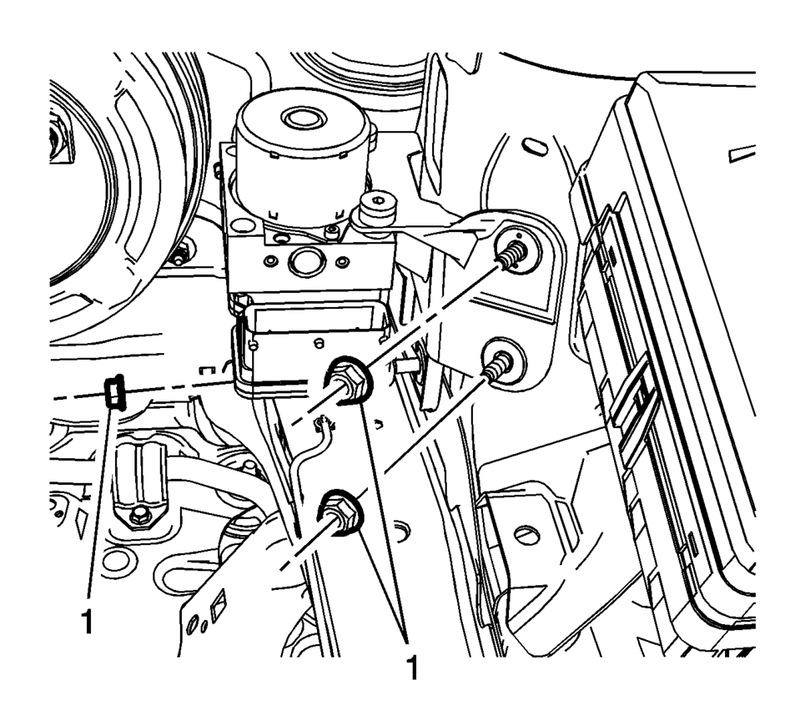 The area around the electronic brake control module (EBCM) and brake pressure modulator valve (BPMV) assembly must be free from loose dirt to prevent contamination of disassembled ABS components. Clean the area surrounding the EBCM/BPMV of any accumulated dirt and debris. Disconnect the EBCM electrical connector. Disconnect the master cylinder secondary brake pipe fitting (1) from the BPMV. 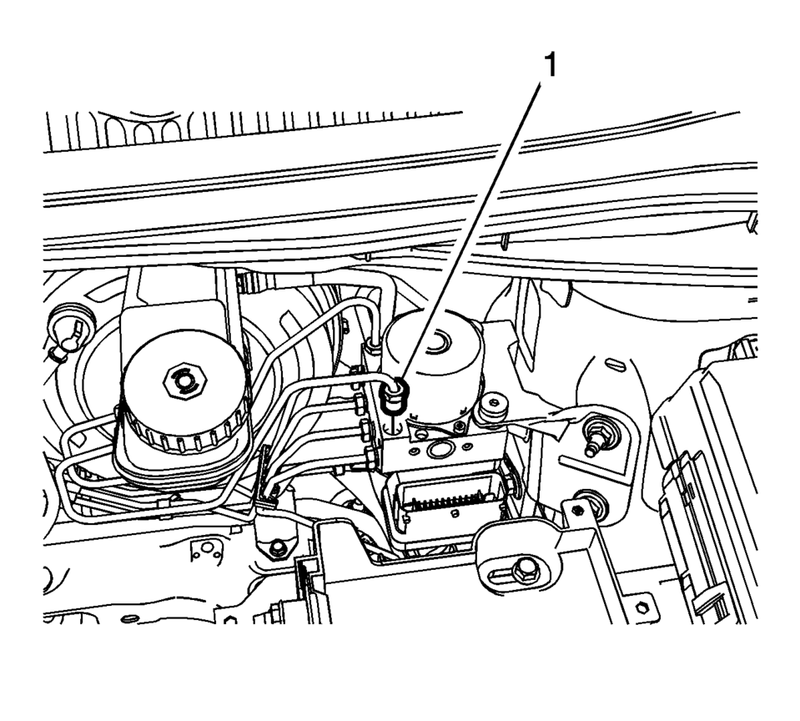 Cap the brake pipe fitting and plug the BPMV inlet port to prevent brake fluid loss and contamination. Disconnect the master cylinder primary brake pipe fitting (1) from the BPMV. Reference mark the BPMV outlet brake pipe fittings (1) and disconnect the fittings. Cap the brake pipe fittings and plug the BPMV outlet ports to prevent brake fluid loss and contamination. Remove the protective caps (1) from the BPMV bracket nuts. Remove the EBCM/BPMV and bracket assembly nuts (1). Remove the EBCM/BPMV and bracket assembly from the vehicle. If installing a new BPMV, remove the EBCM. Refer to Electronic Brake Control Module Replacement. If installing a new BPMV, install the EBCM. 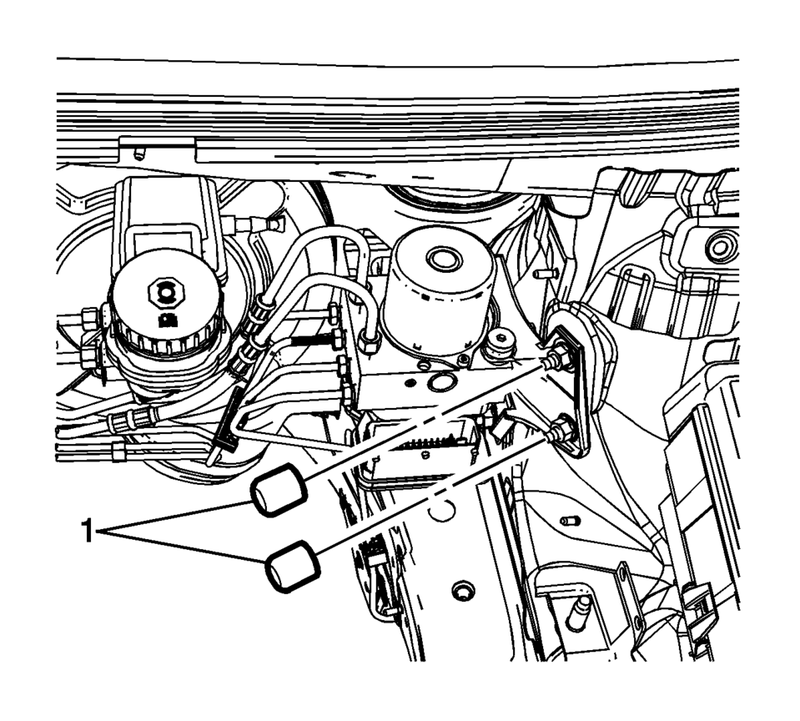 Refer to Electronic Brake Control Module Replacement. Install the EBCM/BPMV and bracket assembly to the vehicle. Install the protective caps (1) to the BPMV bracket nuts. 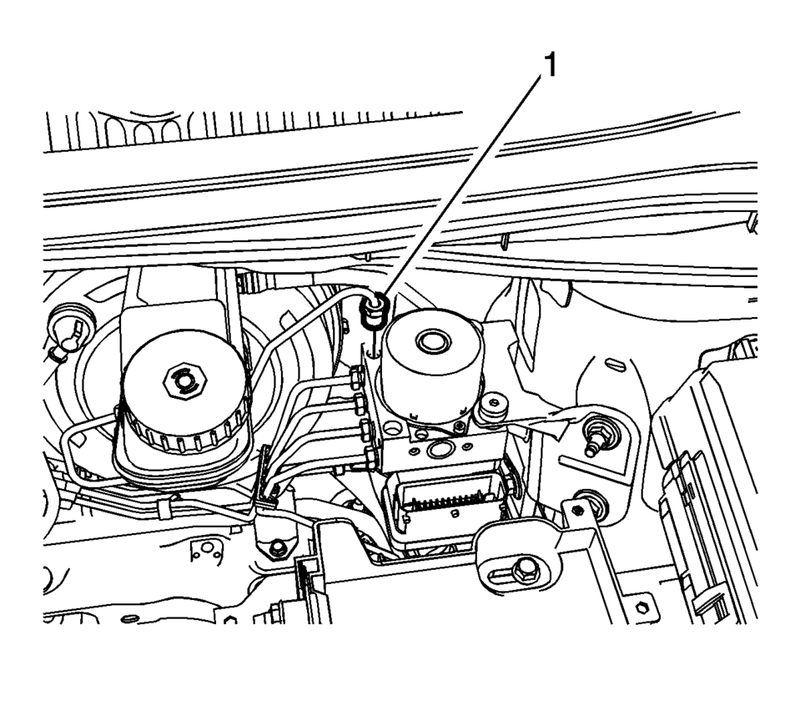 Install the brake pipes in the same locations referenced during removal. Install the BPMV outlet brake pipe fittings (1) to the BPMV outlet ports. Observe the brake pedal feel after performing the diagnostic system check. 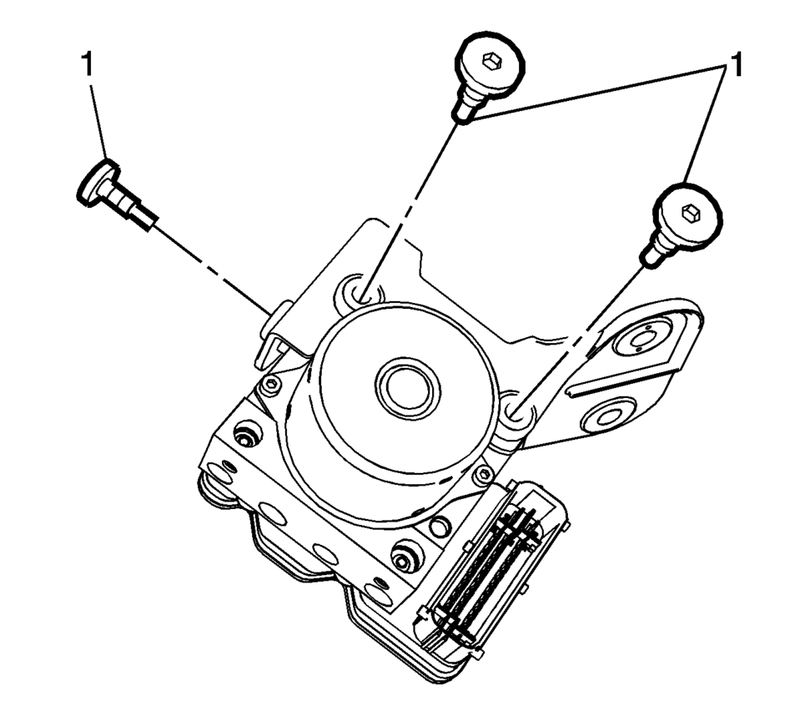 If the pedal now feels spongy, air may have been in the secondary hydraulic circuit of the brake modulator which may have been introduced into the primary circuit. If the pedal feels spongy, bleed the antilock brake system. Refer to Antilock Brake System Automated Bleed.